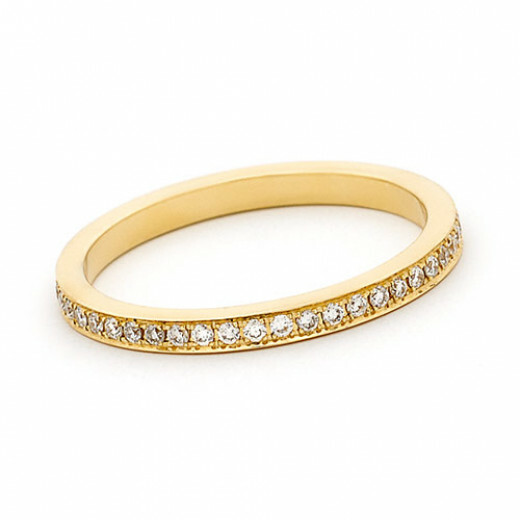 18ct Yellow Gold full Eternity Ring with grain set Diamonds all the way around the band. A wonderful 'modern-Classic' and beautiful symbol of everlasting love. Wear next to your engagement ring, wedding band or on its own as a fabulous dress ring. Also available in White Gold or Platinum.